Volume One and Legends Title Services present a series devoted to the new places you can call home. Explore every hiking trail near Eau Claire, Chippewa Falls, and Menomonie with this interactive web-app. 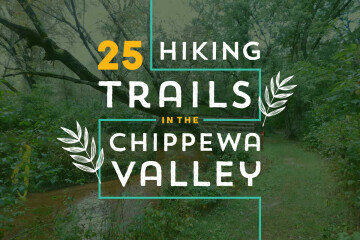 Flip thru 25 trails to see aerial Google Earth views, photos, official trail maps, and Google Map directions to each trail. The two brand new, national-level music festivals mentioned above expand an already robust lineup of high-profile festivals and weekly concert series, which you can then add to an impressive list of performance venues, music-based businesses, special schools, and more — all right here in the Chippewa Valley. With multiple Grammys and Grammy nominations, strong music programs from K through college, and a diverse and vibrant local music scene, the area’s reputation for music is growing throughout the country — and it’s time our entire community takes ownership. We can’t deny that music (in all its many forms) has a massive and growing impact on our region’s culture, economy, tourism, and businesses. Neighborhoods aren't dead. We don’t care what you’ve read or what you’ve heard. People like to complain about how times have changed and about the loss of neighborly customs. But our neighborhoods never died. Too many of us just stopped caring about them – even here in the Chippewa Valley. 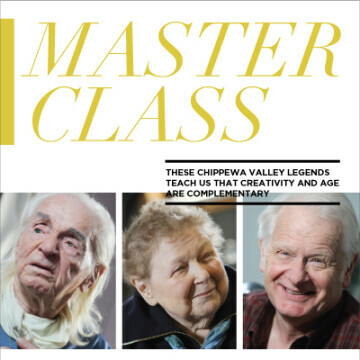 These Chippewa Valley legends teach us that creativity and age are complementary. It’s true that some artists burn out at a young age. Yet some continue to find pure veins of creativity well past 40 – into their sixties, seventies, and beyond. They embody the truth that art can transcend age, the truth that wisdom and experience can be an artist’s greatest resources. The three local legends profiled here – a dancer, a musician, and a visual artist – each have made creativity their life’s work. They are the masters, and we can learn much from listening to them. An informative four-part editorial series. Since the creation of Phoenix Park a decade ago, new buildings and businesses have brought North Barstow Street to life and created a 177% return on the City’s investment. 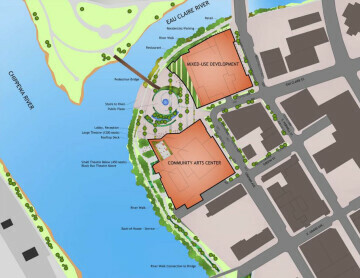 The Confluence Project is poised to do the same and take Eau Claire several steps further. We’ve studied the statistics and asked the experts. Now the grades are in. 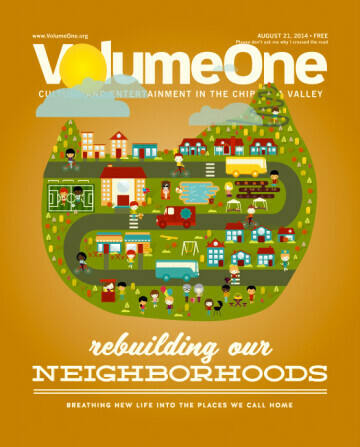 Here’s how the Valley measures up this year. The No. 2 pencils have been put away and the fill-in-the-bubble tests have been fed through the Scantron machine. The essays have been collected and annotated with red pen. Worksheets have been weighed, portfolios have been perused, and extra credit has been compiled. 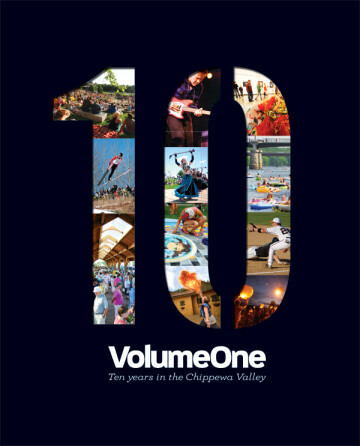 At last, the grades are in, and Volume One is ready to present its first-ever Chippewa Valley Report Card. A city once defined by its rivers is finally ready to reclaim the waterways and reinvent its identity. 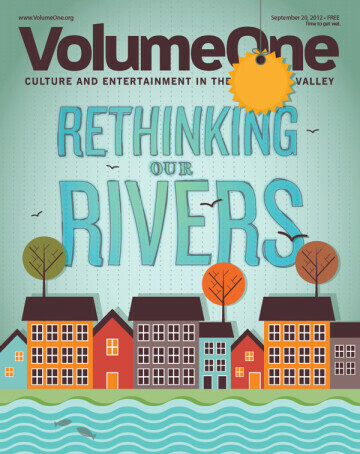 Many, many towns have a river flowing right through them, but not many have two – two of varying character and qualities – that meet up right in the heart of the city. It’s something the majority of us clearly take for granted, but more and more it’s becoming something that’s inspiring us all to move this community forward. Volume One is now ten years old, and a lot has happened here since the first issue was published back in March of 2002. 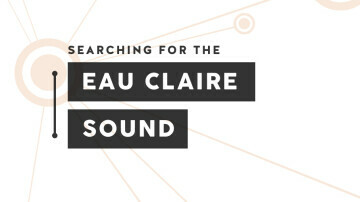 Creating new major event facilities in Eau Claire: A Clear Vision community event forumn. How our local culture is shaped by the streets we drive & walk on every day - & what we can do to inspire change. 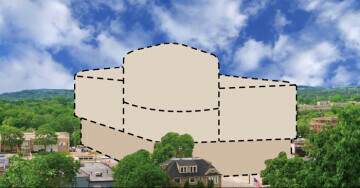 This feature highlights a range topics from bikes to public transit to parking. They cover local angles, national trends, and international results. They look outside our community for inspiration, while always looking back in for context. The concepts and illustrations we present here are meant as conversation starters – not necessarily our official position on what must be done. Projects like these take countless hours of discussion, planning, and consultation – and that window of opportunity is opening very soon. True success will depend on considerable collaboration from throughout the community.